Manufactured by skilled glass blowers, the Basilica Rectangle 3 Light Pendant by Heathfield & Co showcases a timeless design with a modern edge. The fluted, curved shape is complemented by an antique brass finish, evoking romance of years past. 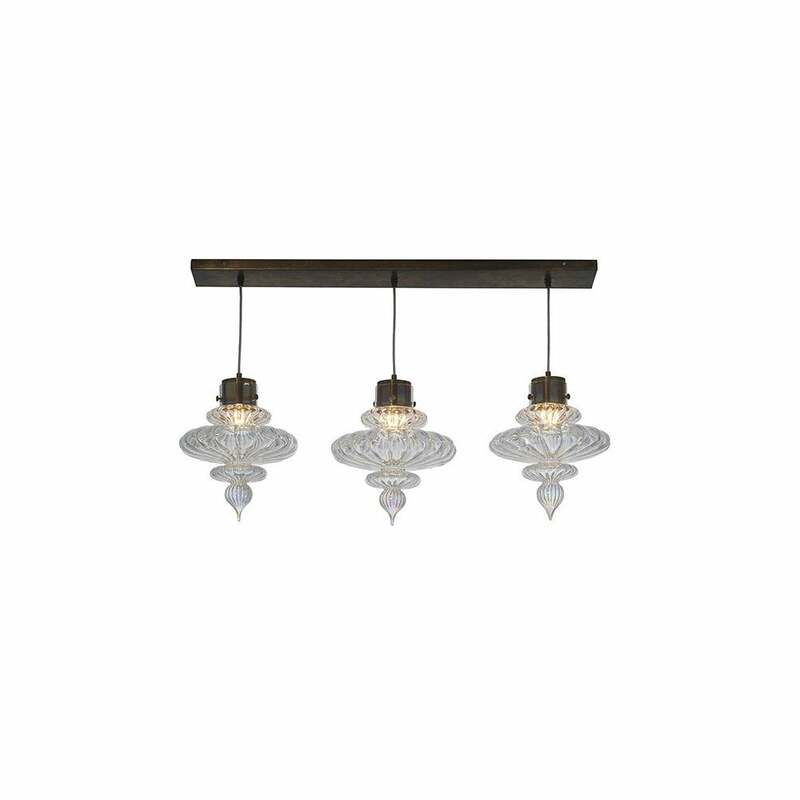 An elegant design, this 3 light pendant works well in both a contemporary and traditional setting. Available in smoke, opal jade and lustre finishes. Cable heights are adjustable. Make an enquiry for more information.